They say that with the opera, its either you love it or you hate it, well I love it. I can listen to scores and scores of aria any day, shed tears and be very empowered by the music even if I had no idea what the songs are all about. I just knew that this melancholy week that I was having will stay with me for a little while longer. So today just to detract myself from reviewing my notes for my progress test on Tuesday, I decided to listen to some of my favorite opera pieces, from Puccini, to Verdi, to Mascagni to Leoncavallo. To the greatest tenors I have ever heard, Carreras, Domingo and Pavarotti. I also booked my first ticket to an opera, (stalls too mind you!) that of Puccini’s “Tosca”, and will see it in Hackney Empire, my local theater, in 2 weeks time. 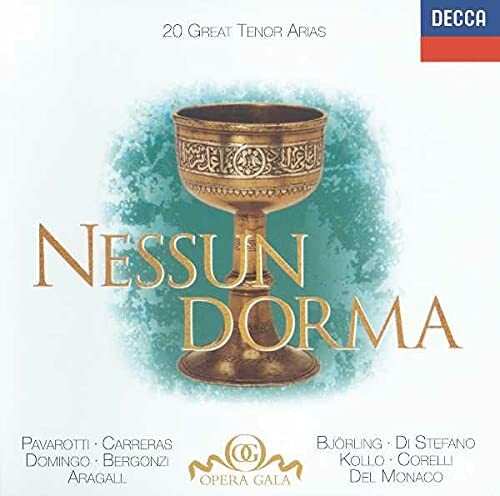 What to wear for the evening is the next thing I need to worry about.If there was one aria that stayed with me through the years, it has to be “Nessun Dorma”, from Puccini’s “Turandot”. Pavarotti’s version is perfect, and always brings shivers down my spine. I had the opportune chance to get the English translation to the lyrics and its just beautiful, after learning what Turandot is about, I loved this aria even more. that makes you mine! Depart, oh night! Set, you stars! Sounds so amazingly beautiful!!! Those lyrics are powerful. I am watching Turandot at the Royal Opera House in the summer, I only got balcony seats, already steep at £50 each! But I dont care, would love to watch this so much although I dont mind seeing Tosca again. I'm having a problem installing Opera 9.02 on FC5. Every time I try to run it, it comes back with a “unable to find software information” error. When I try to run it from the command line, I get 6 conflict errors. I must add that I already have Opera 8.54 but I close it down before I try and run it.